Long, long ago, there were multiple guilds that ruled different sections of the world. Their objectives were to scour all of the dungeons in the lands, to obtain neverending riches, and to make a name for themselves. All had went well for a time, until debris from space began to fall to Earth, killing almost all of the of the worlds population. What was left of the guilds had began to separate, but had soon become just one group. Together, they choose to adventure together through dungeons, in search of a proper home for themselves. - Follow all OOC and IC BoB Rules. - Legendaries are not allowed, but pseudo legendaries are. - Any sexes, genders, orientations or anything else is permitted. - Respect those around you. If you can't respect each other, you shouldn't be roleplaying. 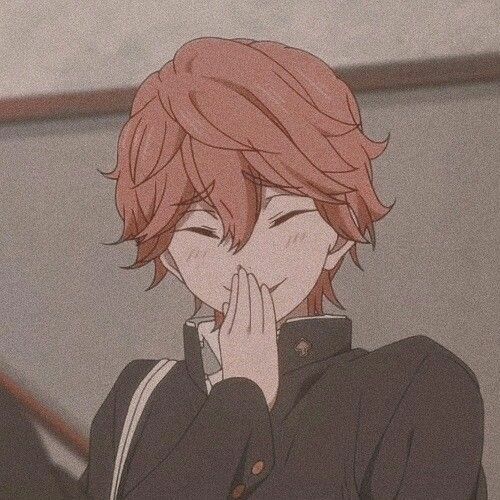 - Relationships [both platonic and romantic] are permitted, but please no cliques or cutting people out of the roleplay. - All types of personalities are okay! Don't be afraid to have an antagonist amongst a bunch of protagonist characters. - No powerplaying or godmodding. Four moves to a moveset. - No more than one of the same pokemon is allowed, unless you are shiny, in a different form, or are related. 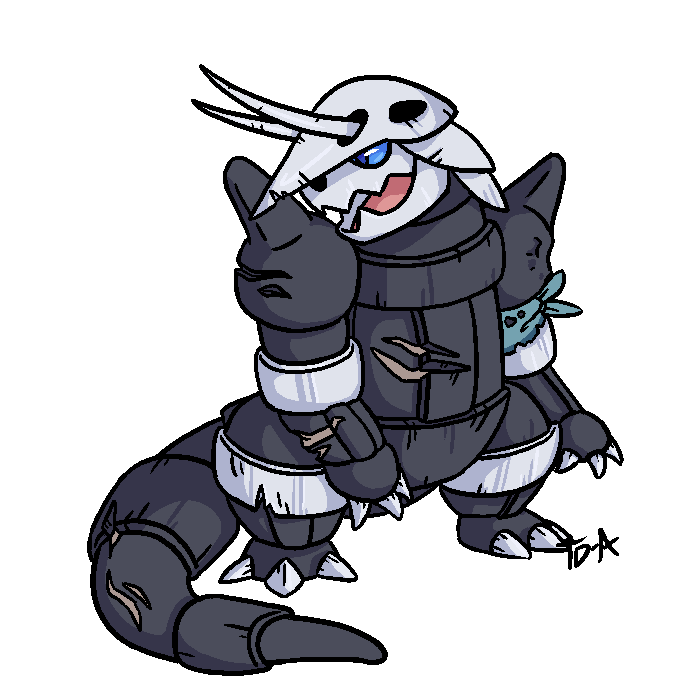 - Mega evolved pokemon are allowed, but only in battle or unless you have a plot behind it. Lore - What is going on? The group is called Eclipse, a group of Pokemon which had survived the destruction of nearly the whole world's population. Your character is apart of this group, led by a single Guildmaster who makes sure everyone is safe and together constantly. They spend most of their time lounging around in their current territory, unless one chooses to enter a dungeon with a patrol. The timeline is modern, with all electricity-based objects either not working or broken from all the damage. You are all pokemon who can verbally speak. Everyone comes from a different place, but all the lands are based on realistic continents and countries unlike actual Pokemon lore, meaning your character may come from Alaska or Japan, or anywhere. The territory they reside in is currently in Tokyo, Japan. Meaning, the territory is heavily city-based. GUNTHER, played by Cakie ! Tacticians - Stepping stone rank, helps keep the fletchlings and raiders in line. Raider - Adult members. Usually older than 8 months. ADRIEN, played by Cakie ! Fletchlings - Children. Usually 7 months or younger. Aren't allowed to participate in dungeon runs. Elders - Members who were retired due to old age, injury, or natural causes. Highly respected. Queens - Mothers whom are pregnant or nursing children. Children are usually listed under the mothers name. APPEARANCE: time has the typical shiny gardevoir appearance, with the exception of a burn scar over her right eye, causing blindness in that eye. her hair mostly covers it unless she moves it out of the way. she has scar along her arms from past fights, but they're barely visible. MOVESET: psychic, future sight, hypnosis, dazzling gleam. PERSONALITY: time is quite mellow in personality, preferring the peace and quiet over the bustle of battle. she is respectful to those under her, and is extremely sensitive. due to her past, she prefers not to be around fire, and has a particular nervousness around men she doesn't know well. she is known as the guild mother for her love of children, despite not being able to have any herself. she tends to adopt kids who have no parents, loving them unconditionally. while she is extremely loyal, however, she doesn't take betrayal well, and hates lying. she can come off as rude or dark when someone betrays her trust, and is very good at the silent treatment. HISTORY: time was born into a family of fire types that had adopted her, where she lived happily for many months. when she was a kirlia, she had been burned by a splash of lava that a magmar had spat at her, burning her right eye into blindness. much more is to be listed of time, but she won't speak of it. APPEARANCE: sporting the usual shiny greninja coloring, he wears a bright blue flower crown upon his head that children made for him. he has silver eyes, almost white. MOVESET: water shuriken, hydro cannon, surf, cut. PERSONALITY: mirius is stubborn, ridiculously so. he is overly protective of the people who get on his good side, and has a foul mouth. he often comes across as annoying because of this. he is a battle worn guy, who tends to get into fights and picks them often. when around women, he tends to get kind of flustered, either flirting accidentally or getting too flustered to look them in the eye. WEAPONS/ITEMS: he has a water shuriken on his back almost constantly, and wields a katana which is sheathed at his side. HISTORY: all of his family was killed in the destruction of the earth, leaving him to survive on his own. family has its own meaning to him, so it's a bit hard for him to adopt people as his siblings. !!!! i love pokemon roleplays! This hulking hunk of steel bears various gouges and chinks in his armor, which he carries a great deal of pride for. The horns that protrude from his enforced cranium are longer than average, with a small upward curve. A time-worn bandanna, somewhat faded and tattered, is tied around his upper left arm - a memento from his family long ago. PERSONALITY: Despite his otherwise terrifying and intimidating appearance, Gunther is fairly laid back when with the group, if not a little dense. He's stern, but an honest and hard worker. He'll often be among the first to jump to aggression or defensive maneuvers when encountering a stranger, and never underestimates anyone. In combat, he firmly believes in fair all-out battle, as he is confident in his own abilities and honors what he calls a "true" battle. A good battle with Gunther is an easy icebreaker and way to gain his respect, no matter the opponent's strength and skill. A young and scruffy Umbreon, nearly half the average size. A long scar runs down his right flank. His eyes are a more orange than normal. PERSONALITY: Adrien is an incredibly snarky Pokémon. He's very prideful, and those who look down on him will feel his somewhat underwhelming wrath. 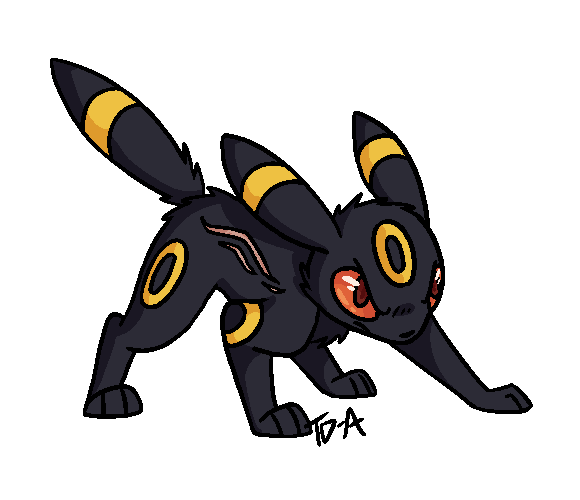 This Umbreon is very quick to fight, and will often provoke battles, despite his rather large losing streak. His heart aches with a sense of inferiority, and as a result, he'll often insult or degrade those around him. Trust issues bring him to keep everyone at a distance. Time could totally mentor the smol child? With her calm personality and his totally different one, she could teach him how to adapt more? APPEARANCE: aside from being openly seen in daylight, nox's appearance doesn't vary from the standard description of his species: a dark purple body with tufts of spikes here and there, blue crystalline eyes, red jewel embedded in his chest, red + blue + green gems on back. as a gem-eating cave-dweller, he's built for cramped spaces and digging through rock, possible thanks to sharpened claws. having grown up in dim caverns, nox sees the world in only blurred movement and light, rendering him as blind as a bat and reliant on other senses, as well as echolocation. however, these are all expected traits of his line. perhaps the only feature distinctive about him is a crooked right wrist that causes his claws to awkwardly splay, the result of a broken arm. fortunately, this no longer affects his mobility beyond slight pain once in a while. PERSONALITY: at the surface, nox behaves cynically and distantly, preferring to act on his own desires than for the group. in fact, the only reason he hangs around is due to the instinctive safety in numbers. carefree and lazy -- unless food is involved -- he seldom helps anyone but himself. considerably clever although he denies it. yet when outside his comfort zone is easily overwhelmed, leading to what humans once called the "sableye shakes", in which he freezes and trembles; a poor defense mechanism, in his opinion. once his rough exterior is bypassed, however, nox proves to be quite the jokester, often poking teasing fun at the others and never taking things too seriously. HISTORY: nox doesn't like to reminisce on the past more than needed and is even more hesitant on openly talking about his background. the basic details he will share after prying include a solitary childhood, humans beginning to mine the cave system he and his colony inhabited, and a cave-in leaving him as one of the sole escaping survivors. afterward, he eventually found himself on the outskirts of the city, where he adapted to scavenging until everything went to hell. APPEARANCE: ailani doesn't vary from her species' standard either, with all twelve barbed limbs intact. a soft blue on the outside of her spiked tentacles contrasting the dull indigo coloring inside her makeshift dome, her main body is mostly purple, and comedically small compared to the limbs holding her up. with yellowed teeth usually forming a sneer and eyes locked in a hungry stare, she fits the role of underwater predator perfectly. however, on land, she typically moves at a slow pace. slightly larger than average size. PERSONALITY: everything about ailani screams malice, yet she takes pride in this. while she doesn't mean outright harm, she can be quite brutal at times and commonly loses her temper. impulsive and boisterous. can be naive at times, and egotistical. she does care about others' wellbeing, and will fiercely defend those she cares about. otherwise, considerably easygoing and upbeat. HISTORY: before the destruction, valentine lived a very good life as a show pokemon. they traveled the world with their owner and competed, and had quite a large reputation to keep. they lived in luxury, but when the debris began to fall, their world fell too. their trainer evacuated with a larger group, but left in such a rush that she left her beloved sylveon behind. valentine waited for a long time for her return before they finally accepted their fate and wandered out into the world, where they discovered this growing group of misfits. All of them are accepted. Ahhh. Tracking w/ a Shiny dusk lycanroc! !